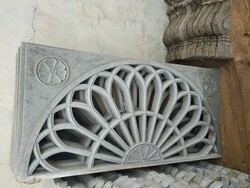 We are one of the leading manufacturer of Mosque Jali. We are leading manufacturer and supplier of RCC Compound Jali and our product is made up of good quality. Nevertheless of the huge demands and desires of our patrons in this business, we have been engaged in the delivery of a capable range of Reinforced Cement Concrete Jali to our patrons. In line with clients' diverse requirements, we are involved in providing an optimum quality range of RCC Cement Designer Grill. In adherence to the set industry standards, the provided grill is manufactured under the supervision experienced professionals using optimum grade components and sophisticated technology. Product description: We are engaged in offering wide range of RCC Grill. Those are made by various design and styles. These are manufactured from high quality of raw material. We have gained much acceptance as the notable entity offering best in class range Glass Reinforced Concrete Jali. Our company has created a niche in the field of offering RCC Fencing Grill. 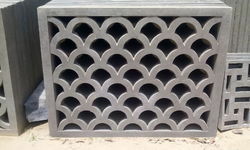 We are offering RCC Cement Grill.